Looking for a way to extend the summer? 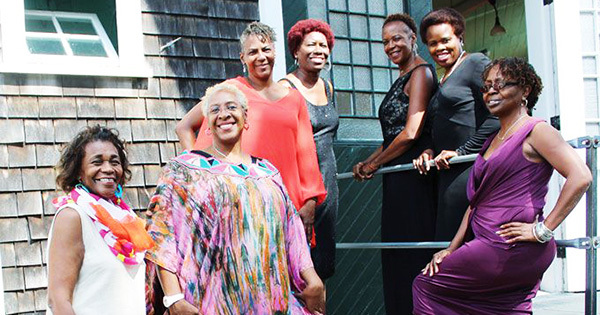 Join Sisters and Friends Getaway to Marthas Vineyard for a last minute vacation. After 12 years of hosting women for a relaxing and rejuvenating week on the Vineyard, host Connie Portis will soon be moving on to explore new ventures. More than 150 women will participate this year. The first week, September 9-16 has filled with women from as far away as California and Alaska. Space is available the second week, September 16-22. The women are all ages and at varying stage in life. In addition to Tedders presentation, discussion titles include “Our Voice, Our Activism” with Valerie McDonald-Roberts, former Pittsburgh City Council member and “Glam 101” led by cosmetologist and makeup artist Shakita Hollis-Poag. #4 – Share Fix It Strategies. “What would you do?” is likely asked and answered more often by a female. In a comfortable setting, women offer ways to handle issues and wont hold back in sharing advice on how to handle yours! This entry was posted in Travel News and Deals. Bookmark the permalink.